In a warm autumn, as we are having in 2016, leaf color change is slowed down. Instead of a quick display of color, we often see slow development of color, muted colors, and mottled colors within a single leaf. We had the same conditions in 2014. Trees use photoperiod, or day length, to determine when to begin casting off leaves. The duration and color intensity of autumn is determined by temperature, with shorter duration and more intense colors when night temperatures are low. Photoperiod does not vary from year to year, but weather does. In a warm autumn, leaves do change color and eventually fall off, but they do so more slowly and with more subtle colors than in a cooler autumn. As the world continues to warm, autumns like this one will be more common. Click the picture for a slide show of leaves in a warm autumn. 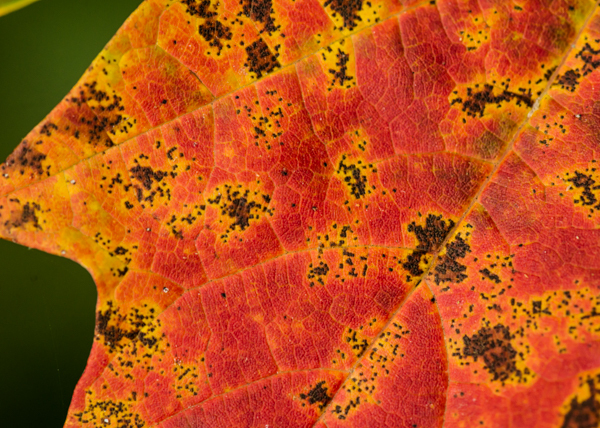 Posted in News, Tree Biology and tagged autumn, fall colors, leaves, tree biology. ← What is your favorite autumn tree?